This vegan pasta sauce is made with a delicious blend of fresh garlic and herbs for a rich flavour, the perfect base for your pasta dishes whilst working well as a pizza topping too. Tomatoes (62%), Onion, Concentrated Tomato Paste (7%), Rapeseed Oil, Extra Virgin Olive Oil, Basil (2%), Parsley, Concentrated Apple Juice, Garlic Purée (1.7%), Salt, Oregano (1%), Toasted Sesame Oil, White Wine Vinegar, Black Pepper, May also contain Peanuts and Nuts. The Zest Tomato Basil & Oregano Pasta Sauce - 340g product ethics are indicated below. To learn more about these product ethics and to see related products, follow the links below. 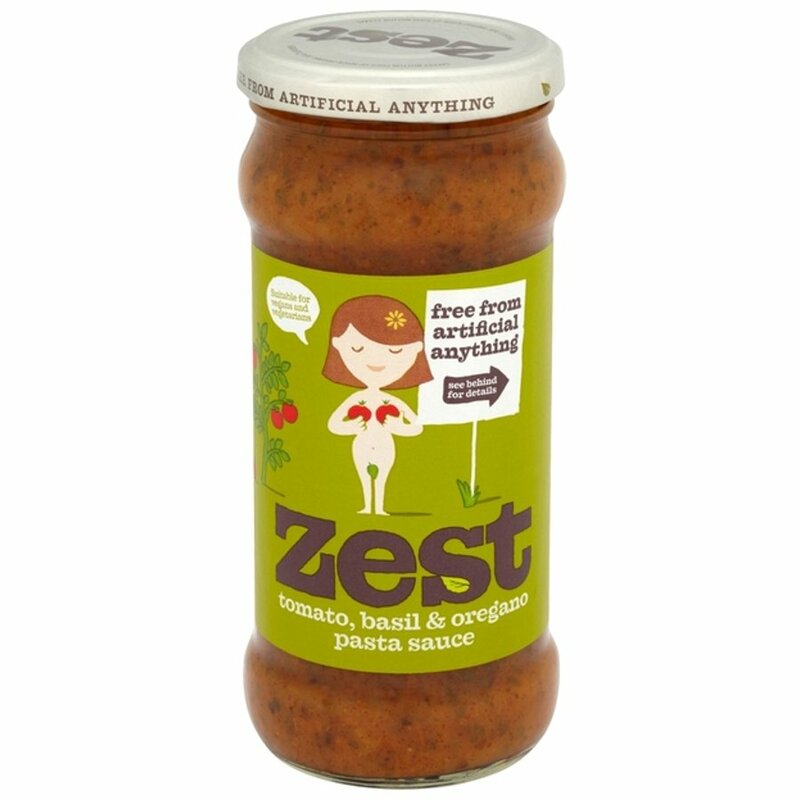 There are currently no questions to display about Zest Tomato Basil & Oregano Pasta Sauce - 340g.